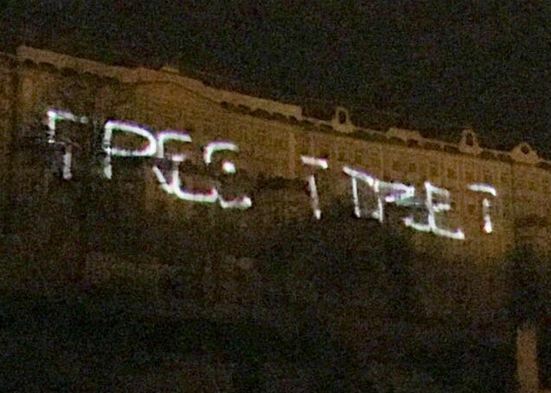 The people behind the display said in an email they believed in the slogans of former Czech president Václav Havel, who was friend with Tibet’s Dalai Lama and who was a critic of human rights abuses in China, reported praguepost.com Mar 30. Police were unable to locate the projector. 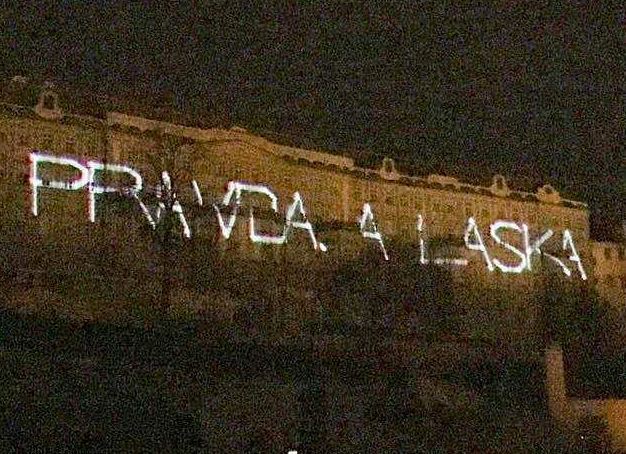 Besides, police spokeswoman Andrea Zoulová said the projection did not appear to have violated the law and there was no sign of trespassing in the closed zone around the Castle, the report said. Xi was on a 25-hour visit to the Czech Republic. Police and organizers made sure that protesters were kept out of sight of the Chinese delegation. The report also said police had made someone remove a Tibetan flag from his window as it allegedly posed a security risk. The flag was in view of the Hilton Hotel, where the Chinese delegation was staying.